Posted 1:08 am by Serata Italiana & filed under Latest News, Media Releases, Sponsors. COSTA MESA, CA – May 24, 2013 – Lamborghini Club America is pleased to announce Jo Malone as an official sponsor of Serata Italiana “Ignite Your Senses” Lamborghini gala held Saturday, August 17, 2013. It is exactly these distinctly British qualities that are the heritage and heart of Jo Malone London. Since its inception in 1994—when its founder created a handful of scents revolutionary in their discerning simplicity—Jo Malone London has become a name internationally synonymous with much-coveted British style. The Jo Malone Studio orchestrates a world of bespoke luxury that is immersed in modern British culture, curating collaborations between world-renowned master perfumers and London’s leading creative talent, from Savile Row to Sloane Street. 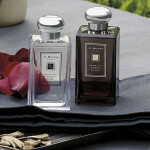 In working with the most forward-thinking style mavens, Jo Malone London is enduringly at the forefront of perfumery. In 1994 Jo Malone opened her first store at 154 Walton Street London, selling a collection of personal fragrances, skin care and a selection of Scented Candles and bath & body products. Today the World of Jo Malone continues to both constantly challenge convention and educate on the way that fragrance can enhance everyday lives. Beautiful packaging and thoughtful presentation is synonymous with the Jo Malone brand. From the first moment the iconic gift bag with signature bow is received, a sensorial journey begins. A Jo Malone gift is the perfect pleasure, a luxurious way to create a lasting memory.